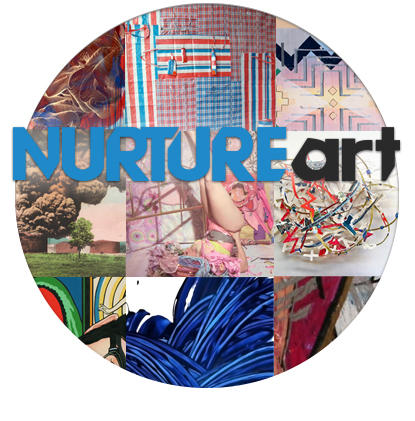 Users of the NURTUREart Registry can search through images, profiles and portfolios of other users. 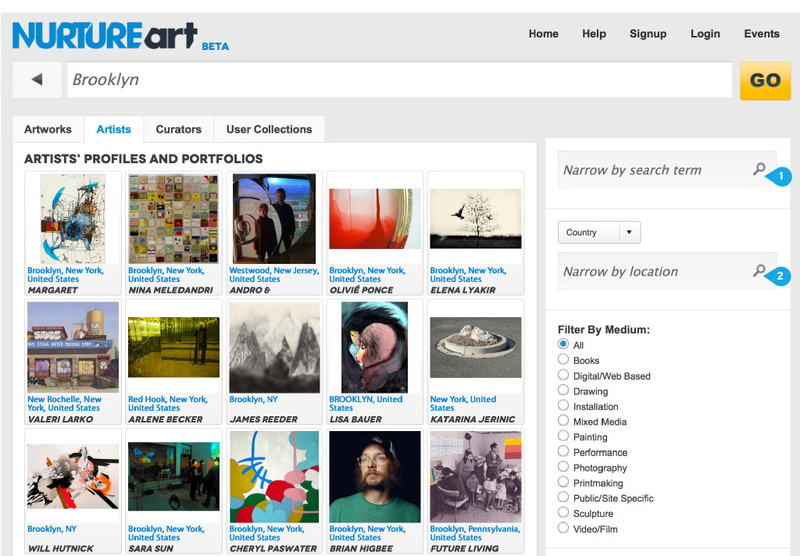 This is the first iteration of the NURTUREart search system. 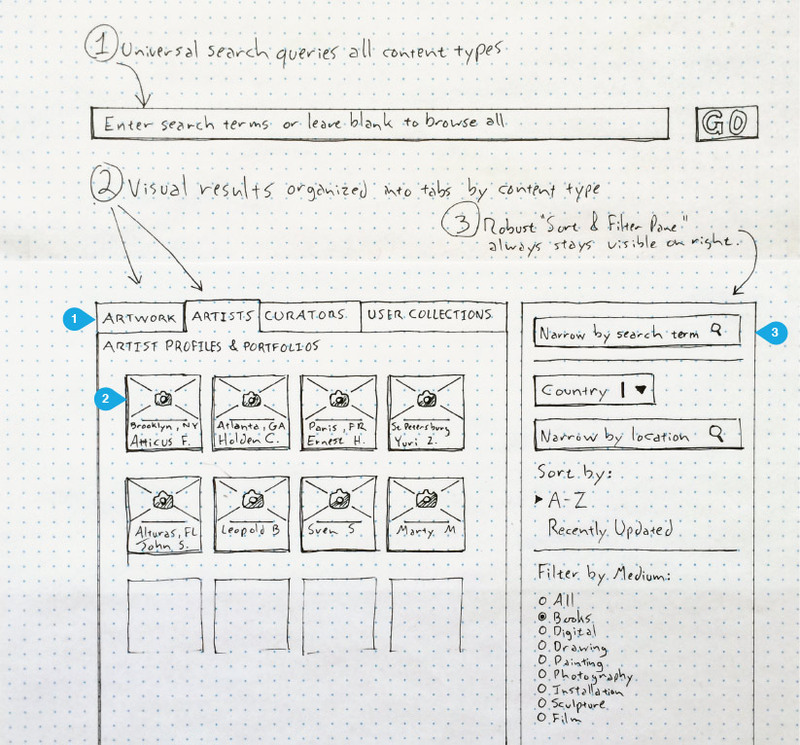 As you can see it forced users to pick one category (artist, curator, portfolios, etc) prior to performing their search, which wasn’t an optimal user experience. Example: if a user wanted to search for “Brooklyn” they had to first select from the dropdown what subsection of the registry they wanted to perform their search in, potentially excluding relevant content without even realizing they’d done so. A tabbed content pane that organized search results into tabs that were highly visible, intuitive and accessible to even first-time users. Visual results. Unlike Google searchers, users of the artist registry are overwhelmingly looking for visual content and it only made sense that their search results would be delivered in a way that catered to this need. 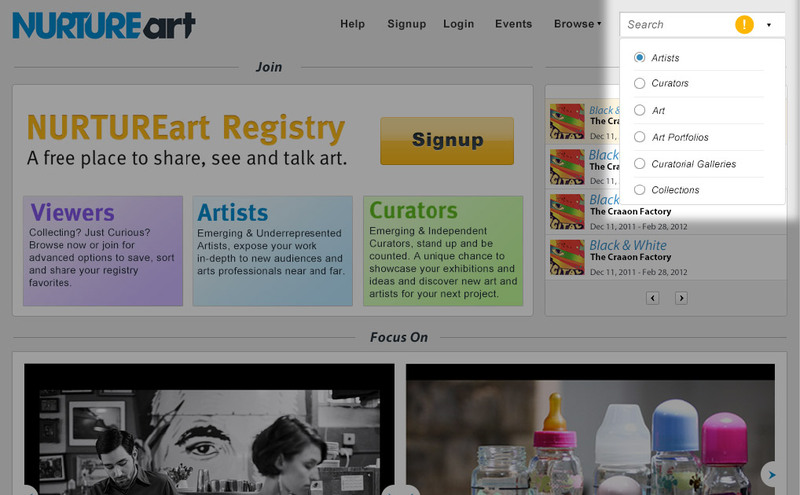 A more robust search pane that always stayed visible on the right that included ample sorting and filtering capabilities.